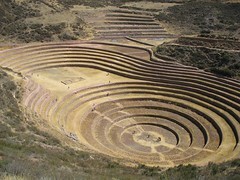 Cusco Part 2: How can there possibly be more Inca Ruins? This would be the last leg of our trip before heading back to La Paz. If you are reading this before the two previous posts, please start at Cusco Part 1, then Tambopata, and then read this one. On Tuesday, we began the second leg of the trip…the adventure deep into the Peruvian jungle!! Personally, this was my favourite part of the trip because we were outdoors within nature that has hardly been touched by humans over the years. After seeing Q’oricancha in Cusco in the morning, which is a temple built on top of Inca foundations, we headed to the airport. There, we caught the 30 min flight to Puerto Maldonado in the morning. 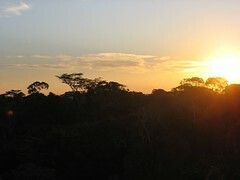 We arrived into the heat of the Amazon region (altitude of 200m) at about noon, and met up with Susana’s family there. We would be joining her 3 brothers and some of their children for the jungle trip. In total, there were 14 of us. Rainforest Expeditions picked us up at the airport and we were off! First stop was their office, where you could leave any luggage that you didn’t need. I have recently returned from a 10-day trip to Peru – to Cusco and to the Peruvian Jungle! I had an excellent time on our little adventure and am now back in La Paz. We left Fri July 28th and arrived back in La Paz on Mon Aug. 6th. I went with Susana and Mike (my boss and her husband, as well as being my housemates). I was invited to join them on the trip which had been organized around Susana’s family trip to the jungle. 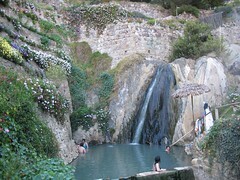 I spent the past weekend soaking in hot springs, hiking and relaxing in a place called Urmiri. I call it a place because there was no town, only the hotel built around the hot springs. Hotel Gloria has hotels in a few different places in Bolivia, including the one at Urmiri. Three of us from the office decided to take advantage of their shuttle from the hotel in La Paz to the hotel in Urmiri. La Sede no se Mueve! That is the familiar chant around town these days! And the “cause” of the week as well. Today, in La Paz, businesses were closed, transportation was not running and most people did not go to work. Roads in and out of the city were blocked, and if you had to catch a flight – all the power to you! Why, you might ask? As result of an organized civil action for the people of La Paz to show their support for this cause. I went on a little adventure today! A coworker and I decided yesterday that we needed to get out of the city and do something. So, we went to the tourist street which is full of souvenir shops and also travel agencies. 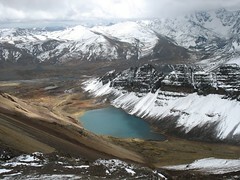 After asking a few places, we were able to find one that offered a day-trip to Chacaltaya. So we set out this morning at 8:30am with two other people for a day-hike! In Bolivia, protests and demonstrations are common. It is not rare to hear that a group of people has blocked one road or other. This week, we had a few such groups making the news with their protests. None ended in violence as the protests in Cochabamba did earlier this year (see previous post), but all were brought to the attention of the public through the media. June 21st marked the Aymara new year in Bolivia. The Aymara are one of many groups of indigenous people who form a part of the population of Bolivia, and the Andes region in general. June 21st, in the Northern hemisphere marks the summer solstice, while here it marks the winter solstice, and the shortest and coldest (supposedly, although it’s been colder since!) day of the year. It is an ancient celebration of the first rays of the sun during the winter solstice, after the year’s longest night. 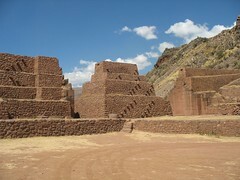 There are large festivities in traditionally sacred places, such as Tiahuanaco – the most important architectural achievement of pre-Inca South America. The rays of the sun shine through the temple entrance on the winter solstice. Rituals are carried out to celebrate the god Inti (fertility and good luck with crops for the year to come). This year, they rang in the year 5515. 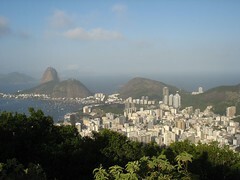 I have just returned from a brief trip to Rio de Janeiro, Brazil! I spent about 3 and half days in la Cidade Maravillosa, arriving Friday night and returning to La Paz Tuesday night. My boss, Susana, invited me to come with her to Rio for the wedding of a girl we both know and to make an extra-long weekend of it as a thank you for the work I am doing for her (without pay). She had been invited to the wedding of Priscila, whom I also know. Priscila and I met in Cameroon while working on the same project. I arrived in Cameroon as she was leaving. She graciously extended the invitation to her wedding to include me, and so I was off to Rio! It was a good trip, and Rio is a very interesting city! It's been a while since I've written an update about life in Bolivia. Well, wait no longer!! This weekend was the festival of Gran Poder in La Paz. 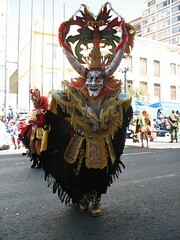 Gran Poder is an Andean festival, and is a combination of Pre-Columbian and Catholic traditions. It is supposed to be a celebration of Christ. It is basically a day-long parade, starting at 8am or so and going until who knows when at night! The parade features groups of people dressed in costumes and dancing traditional dances to traditional music. This year there were 54 groups, for a total of 20,000 dancers and musicians. Take a look at my pictures to see some of the incredible costumes.